Since the earliest development of states, groups of people escaped or were exiled. As capitalism developed, people tried to escape capitalist constraints connected with state control. This powerful book gives voice to three communities living at the edges of capitalism: Cossacks on the Don River in Russia; Zapatistas in Chiapas, Mexico; and prisoners in long-term isolation since the 1970s. 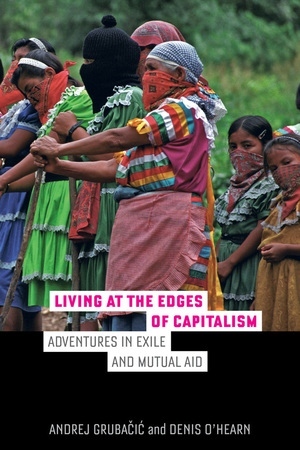 Inspired by their experiences visiting Cossacks, living with the Zapatistas, and developing connections and relationships with prisoners and ex-prisoners, Andrej Grubacic and Denis O’Hearn present a uniquely sweeping, historical, and systematic study of exilic communities engaged in mutual aid. Following the tradition of Peter Kropotkin, Pierre Clastres, James Scott, Fernand Braudel and Imanuel Wallerstein, this study examines the full historical and contemporary possibilities for establishing self-governing communities at the edges of the capitalist world-system, considering the historical forces that often militate against those who try to practice mutual aid in the face of state power and capitalist incursion. Andrej Grubacic is Professor of Anthropology and Social Change at the California Institute of Integral Studies. He is the author of Wobblies and Zapatistas and Don't Mourn, Balkanize! Denis O’Hearn is Professor of Sociology at the State University of New York at Binghamton and the author of Inside the Celtic Tiger: The Irish Economy and the Asian Model; The Atlantic Economy: Britain, the US, and Ireland; and Nothing But an Unfinished Song: Bobby Sands, the Irish Hunger Striker Who Ignited a Generation, among other titles.